A group of Quebec-based crowdfunding supporters have banded together to create a new non-profit organization, dedicated to promoting equity-based crowdfunding from within the province. On Tuesday, the group launched Equity Crowdfunding Québec (ECQ), a new organization that will represent SMBs, startups, entrepreneurs, and other stakeholders in the province as regulators draft equity-based crowdfunding legislation. Its core group is made up of legal professionals, financial professionals, and business-owners. Up until this point, ECQ had been largely an informal group, with little more than a website containing news and resources on crowdfunding. But as a formal, not-for-profit organization, ECQ hopes to be able to have a say in the process of drafting equity-based crowdfunding legislation, said Gil Michel-Garcia, one of the leaders of the new association. “In Canada, [regulators are] working on legislation across all the Canadian provinces to have a standardized set of rules that is going to govern how you allow crowdfunding to be done over the Internet to a mom and pop investor,” he said, adding that it’s important for Quebec to have a voice in any legislation that could affect Quebec-based businesses. For example, ECQ would encourage regulators to remember that Quebec’s companies would do most of their business in French, and that they would also be using Canadian dollars. That can be can be an issue for cross-border investments, especially if an anglophone investor from a different province wants to invest, or a U.S.-based individual wants to invest, he said. Tackling all of these complicated issues may be a thorny task, but Michel-Garcia has seen first-hand how crowdfunding can help businesses grow. Aside from leading ECQ, he’s also the CEO of Wafu Inc., a Montreal-based company that creates Japanese mayonnaise for sandwiches and burgers. In 2013, Wafu closed the first accredited investor equity crowdfunding round by a Canadian company within the U.S. through CircleUp, a U.S.-based equity crowdfunding platform aiming to connect investors with companies creating consumer products. Thanks to his own experience in crowdfunding, Michel-Garcia said he knows how hard it can be for small to mid-sized businesses (SMBs) to raise capital without help. His own company was originally made up of just two people – himself and Mari Toyoda, a former restauranteur who helped create Wafu’s Japanese vinaigrettes. “What allowed us to grow was my ability to be able to access capital internationally, locally, and obviously I’m familiar with how to do this,” he said, adding that other SMBs typically rely on small business loans, or on friends and family, to help them get started. But nowadays, given SMBs have the power to market themselves through their websites and social media channels, it only makes sense to allow them to turn their most supportive customers into investors. “I truly believe that equity crowdfunding will be transformational for small businesses in Canada. It will absolutely allow the people that have good ideas, good businesses, good products, good services, to be able to access the capital they need and grow,” Michel-Garcia said. For Craig Asano, executive director of the National Crowdfunding Association of Canada (NCFA), the ECQ is a step forward for equity-based crowdfunding in Quebec. So far, only the province of Saskatchewan has an exemption in place for equity-based crowdfunding. 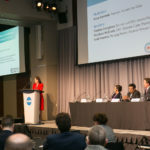 The Ontario Securities Commission has said it intends to publish a crowdfunding-specific prospectus exemption, with its last introduction of potential regulations released in March 2014, while British Columbia, Manitoba, New Brunswick, and Nova Scotia are also looking at creating their own rules for raising equity for businesses. Michel-Garcia will be one of the speakers at the NCFA’s Canadian Crowdfunding Summit in Toronto, set to be held March 3. Join us at the upcoming 2015 Canadian Crowdfunding Summit on March 3 at MaRS Discovery District!